Doing a tour by bike offers two distinct challenges. I'm obviously going to be pushing myself physically but the fact that when I get to each town I won't be able to disengage the brain and switch off creates a mentally challenging situation also. But, as with all these things, the challenge has started already. I have to try and improve my fitness - mental and physical - before the tour starts. I have exercise my writing and performing muscles as well as my legs... there's no point being able to cycle all that way if the show's not up to snuff and there's no point having a great show and not being able to get there. So, as often as I can I pop out to gigs in town to try out new ideas and play with material. Slowly, incrementally, the amount of stuff I have in my mental locker increases. There are nights like Old Rope on a Monday and various nights at Lowdown At The Albany - not to mention all the regular club nights in London where I'm lucky enough to be able to get a small amount of stage time every now and then. I find it fascinating how material starts to coalesce... the first time you say it, it kinda works. After three or four goes it suddenly gels into something that feels more whole. Or it finds a place next to something else that lifts it. Or something. But it isn't simply a matter of trying out sufficient bits until you've added up enough minutes... things have to hang together. Disparate bits of material that might work individually can work for or against each other when placed in the same set. So when I've got a chunk of new stuff together in bits and bobs I need to try a longer set in order to see how it flows. To that end I recently did a couple of longer spots at a couple of great London gigs: Islington's ace monthly; Comedy Gold and Kingston's just as ace, Outside The Box. I'd highly recommend both clubs to anyone wanting to see live comedy because they're both discerningly booked and both likely to turn up interesting surprise guests. I asked if I could compere at Comedy Gold because I knew that would give me a chance to do a bit longer and also because I knew it would offer a different challenge - it was a fun night - and last night I popped into Out Of The Box for the second time. Which was very satisfying for a couple of reasons. I don't have a proper training schedule in place because I don't keep regular hours... I just try and cycle as and when I can. I've been trying to get some miles under my belt on the lovely new bike but took it out for a proper ride for the first time on Saturday. 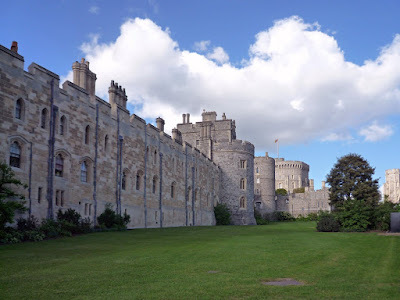 I went to Windsor and back, a round trip of just over 60 miles - easily the longest ride I've done since the London to Brighton run a few years ago. (Only without any kind of climb to rival Ditchling Beacon) I felt okay on Sunday but didn't have the time for a ride although I did get a good long walk in. But Monday was a perfect opportunity to get both types of training in. A round trip to Kingston and back added up to around 35 miles - which I did on my old bike because I haven't got locks and luggage sorted for the new one yet - and I set myself the challenge of doing a set that didn't overlap with anything I'd done there the last time. Because normally I'm doing a short set of new stuff - some of which I'll keep and some of which I won't - or doing a longer set that's made up of old and new and whatever's on my mind at the minute - placing myself under that restriction made it the best barometer I've had so far as to how the writing has been going while the Saturday ride and the journey there also gave me a small, bitesize taste as to the physical side of things. It was a far from perfect gig but the hit rate was still way better than I'd been expecting it to be and the ride to and from was actually just fun. Today - however briefly - I feel confident that things are on target. It'll be brief, mind you. After all, fear that I'm falling behind schedule is the greatest motivator of all. 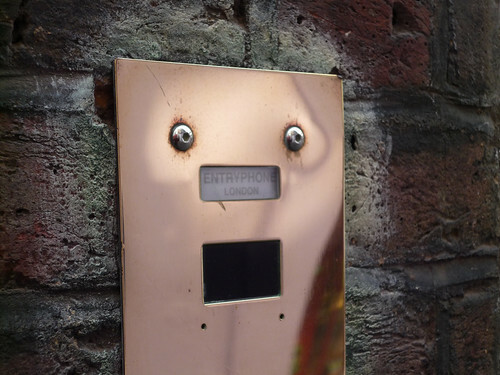 When I talk to people about the tour I meet one of two reactions. Some people assume that the whole thing is planned in infinite detail that I have a team of doctors lined up and advising me and that I have an Olympics style fitness regime all laid out. Other people assume I'm an idiot who's done nothing. The second lot are far nearer the truth. I cycle when I can. I haven't planned a single route. I figure it will all sort itself out when the time comes because... well, because it'll bloody well have to. Some of the people who assume I'm an idiot have been brilliant in offering me advice and assistance. One of those people is someone I'm more than a little in awe of. I'm an incredibly lucky man. The tour came up in conversation when I was a guest on Something For The Weekend the other day. Sitting at home watching the show was a cycling legend: Chris Boardman. He won an Olympic gold medal in 1992 - at the time, Britain's first cycling gold for 72 years - he's worn the yellow jersey on the Tour de France a few times and he's set a few world records in his time, too! He got in touch with me that afternoon - y'see, I do read my e-mails - to say he'd offer me a bike. I spoke to him a day or two later - me, on the phone, chatting away to Chris bloody Boardman! - and he was, unsurprisingly, a lovely, funny fella. Y'know how Britain were ridiculously dominant in the velodrome at the Beijing Olympics? Guess who led the Reasearch & Development team for GB Cycling? Him! What am I supposed to say when someone like that offers me a bike? I mean, I'm not likely to be approached by anyone more knowledgeable am I? Even back in the day he was always more than just a cyclist - he was always involved in bike design. So I said, yes. Obviously. And this morning I picked up my new toy. It's so much lighter than my regular bike. I intend to get some miles done on it this week. I'm very, very excited. We had to take a week off over Easter because of the golf. 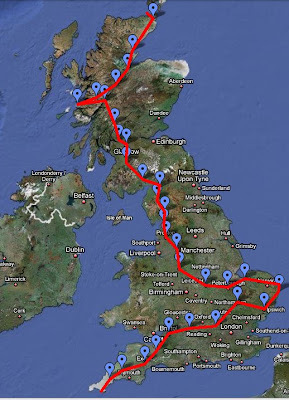 But we're back on Friday the 17th and in a novel twist we appear to be on at the same time in all the regions! How refreshing. 10pm. Friday. BBC2. With Johnny Vegas. Hope you can catch it. One of the things I've always insisted on with Genius is that we don't only rely on comedians to be the guests. Having a few in each series is fine but we should be confident enough with the format to know that it will still be a funny show whether or not our guest is a professional comic. I also love it when the guest has enough years on the clock to mean they're invested with some believable wisdom. 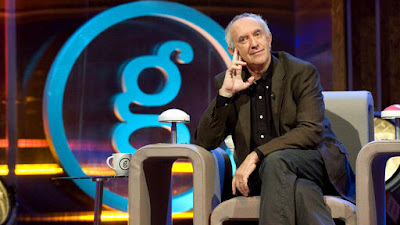 All of which means that this weeks' guest: Jonathan Pryce was right up my street. It was properly exciting for me having someone as well regarded as Jonathan Pryce in the chair. He's a Bond villain. He's in Pirates of the Caribbean. He's the star of Brazil; one of the best films ever. And he was a brilliant Genius guest. Completely in the spirit of the show. Funny funny, but also funny simply for taking the ideas quite so seriously. A real star. Incidentally... I see that Piers Morgan managed to get a half page in The Sun for saying that he's banned David Beckham from his chat show. How the hell did that happen? Do you think David Beckham was ringing up begging to be on the show? No. If the show had asked him do you think he'd have said yes? No. You can't ban someone from doing something they were never going to do anyway. It's completely meaningless. It's almost as if Piers Morgan has some uncanny knack for understanding the tabloid agenda... although quite how the former tabloid editor would learn that sort of thing is beyond me. Still, half a page in the Sun is not to be sniffed at. So as host of Genius let me tell you that Nelson Mandela is banned from the show. As is Bill Clinton. And I'm banning Angelina Jolie from my bedroom too. And Madonna is absolutely 100% forbidden from adopting me. Glad I cleared that up. Something else which needs clarifying is the schedule for Genius. If you're in England or Scotland it's on tonight (Friday) at the regular time of 10pm. If you're in Northern Ireland however this week's show has been moved to a different time. It's on Friday night... but so late as to be Saturday morning: 35 minutes past midnight. Thanks Northern Ireland schedulers... what have we ever done to you? In Wales the show doesn't even have a regular time. Three weeks running and the show's been on at a different time on each occasion. The first week we were moved to Saturday night. Then for week two it was on the Friday night like everyone else. Now this week, we're back to being a day later than the other regions and twenty minutes earlier. Wales: 9.40pm. Saturday. Criminy... 10pm on Friday was meant to be a great slot... I had no idea how much the regions were going to screw us around. But enough of the harumphing... it's a good'un, enjoy! Oh... by the way, I'm getting a lot of e-mails (and Tweets and the like) from people with Genius ideas. I'm the worst possible person to send them to. I'm an idiot. I'm disorganised. I remember that we had an idea but I lose the e-mail. Or I forward the e-mail but we don't get a phone number for you and then when we try to get in touch your e-mail address fails and we're left with nothing else. That's no use to anyone. You really have a far better chance of getting your idea in the hat by sending it in via the show's website: bbc.co.uk/genius Go on. You know it makes sense. Sort of. I went to the premiere of In The Loop on Wednesday night. It's brilliant. I love The Thick Of It on TV - and it comes from the same creative team - so I had high hopes for it. But also some concerns. 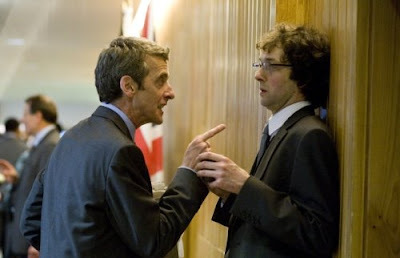 Peter Capaldi plays Malcolm Tucker - the same spin-doctor role he plays in The Thick Of It but many of the other actors are involved and are playing different roles. For example, I'm used to seeing Chris Addison as Ollie but here he plays Toby. Admittedly the characters are very similar to each other... but the action has shifted to a new department so their jobs are nominally different and their relationships to other characters are too. I thought the knowledge that Thick Of It Capaldi knows Thick Of It Addison might make it weird that In The Loop Capaldi doesn't initially know In The Loop Addison. Imagine watching an Eastenders spin off in which Babs Windsor played Peggy Mitchell and Ross Kemp appeared - but not as her son Grant Mitchell. That'd be weird. Very weird. And, one imagines, not very good. Well this is nothing at all like that. Whether or not you've ever seen The Thick Of It doesn't matter a jot. It isn't a film-length episode of the TV show... it's its own entity. 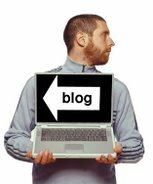 You quickly allow the new story to envelop you and take it all at face value. The cast are flawless but the two I've mentioned already - Capaldi and Addison - are, alongside Tom Hollander's flappy, out-of-his-depth career politician Minister, exceptional. Perhaps most weirdly the film appears to contain two premonitions. There are two lines in the fictional story that echo tabloid news stories from the last couple of weeks. They can't possibly have known they were going to happen. It almost makes me think that Jacqui Smith's husband is actually working for the film's PR company. Almost.